Dale Rogers Training Center provides multiple programs for persons with disabilities. From the summer camp program for teenagers and young adults, to high school transitional programs, to paid training opportunities and community employment, these nationally-accredited services are provided by highly-trained staff. In 2017, Dale Rogers Training Center’s programs received a 3-year accreditation from the Commission on Accreditation of Rehabilitation Facilities (CARF). CARF International is an independent, nonprofit accreditor of health and human services providers. CARF assists service providers in improving the quality of their services by applying sets of quality standards during an on-site survey. The Employment Services Program is an innovative, award-winning service that supports people with disabilities to obtain community employment. An Employment Training Specialist (ETS) helps match individuals' capabilities and skills with job openings in the area. Once a job has been offered, the ETS works alongside the participant the first several days to learn the job, at no additional cost to the employer. 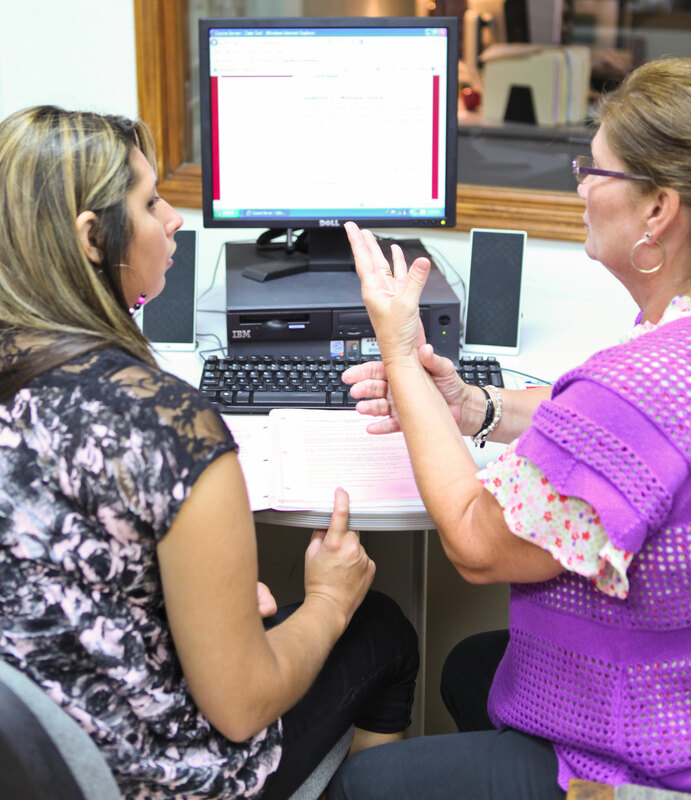 As the participant becomes skilled at their job, the Employment Training Specialist fades direct supports, leaving a well-trained, reliable employee. Supported Employment provides services to people across a wide spectrum of disabilities. 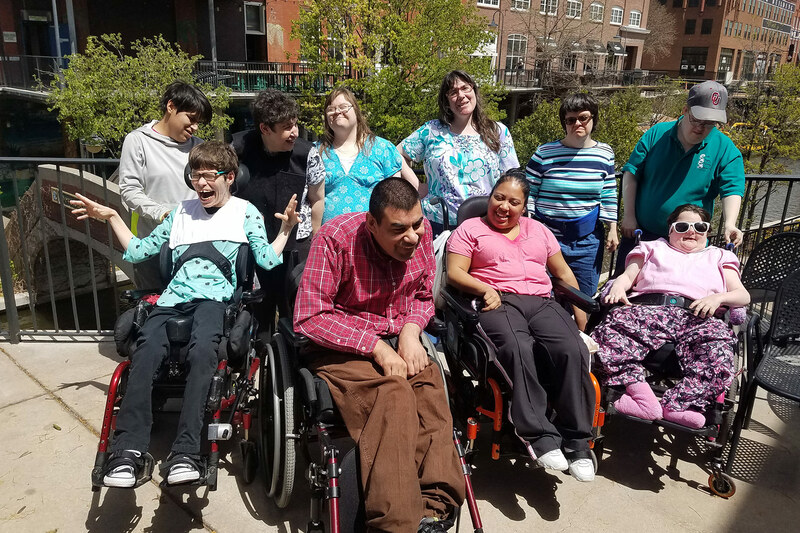 The Oklahoma Department of Rehabilitative Services (DRS) funds and supports DRTC and other services for people with disabilities. We hire people with disabilities! Click here to view our current job openings. Long term support and re-training for employees hired through Dale Rogers Training Center, Inc.
Assistance applying for Tax Incentives - Work Opportunity Tax Credit, which is a tax credit offered to employers as an incentive to hire individuals who are members of targeted groups that have traditionally faced significant barriers to employment. For more information on how to access these services, contact the Employment Services Manager at 405-606-2876 ext. 1702 or email supportedemployment@drtc.org. DRTC also has a job ready workforce to meet your light manufacturing needs. Commission on Accreditation of Rehabilitation Facilities (CARF) accredited since 2011. The Transition School-To-Work program has been recognized by the Oklahoma Department of Education and serves many high schools in Oklahoma City and surrounding areas. The program provides a head start to employment after graduation, as well as assistance with finding a job through DRTC's Employment Services Program after graduation. Training includes job readiness and soft skills training. The Oklahoma Transition Council provides a Timeline of Transition Activities to use to help prepare your child for adulthood. Programs, services and activities are grouped by age. For more information on how to access these services, or if you are a teacher looking for training opportunities for your students with disabilities, contact the Transition Coordinator at 405-946-4489 ext. 1802 or email Transitions@drtc.org. School-aged kids may also be interested in DRTC's Camp Tumbleweed Summer Program. Located at the Oklahoma City main campus, participants offer the business community a skilled labor force that produces quality work on time and on budget. Individuals are involved in meaningful, productive, compensated work while learning valuable work-related skills. Well-trained staff assist participants by helping them reach their specific, work-related goals and increased independence. Depending on the goals and desires of the person, additional training options include Prism Place where stunning acrylic awards and gifts are produced, and Wyman Frame where high-quality frames are assembled. Mobile Workforce is designed for participants to gain experience and knowledge in all aspects of community employment. A crew of up to 8, along with a trained staff member, engages in paid vocational training within a local business. Training focuses on work place guidelines, safety, and co-worker interactions, both with people who have disabilities and those who do not. Another aspect of the Mobile Workforce includes giving back to the community by choosing to volunteer at locations like the Food Bank or Habitat for Humanity. Participants may also choose to spend limited time in the Vocational Services Program. Learn more about Mobile Workforce for your business. The Special Needs Program is designed specifically for individuals with more significant needs, or those who are approaching retirement age. Individuals participate in a variety of relevant and interesting activities throughout the day. The program focuses on maximizing independence. Limited personal care may be available for those who qualify. Activities include paid vocational training/subcontract work, job skills, exercise, leisure activities and community field trips. Camp Tumbleweed is a quality summer day camp for teenagers and young adults with disabilities, ages 14-21, in the Oklahoma City area. The camp is located at the Dale Rogers Training Center's main campus in Oklahoma City and has an outside camp area nestled in the trees complete with teepee and a mock campfire! In addition to having fun, campers maintain academic skills through fun and innovative activities. Retention in functional reading, writing and math skills is provided in a fun and interactive way. Arts & crafts and interesting field trips are always a big hit with the campers. Funding options are available. For more information, contact the Camp Tumbleweed coordinator at 405-946-4489 ext. 1802 or email camptumbleweed@drtc.org. Camp provides a planned schedule of recreational, motivational, educational and social activities that include trips to local attractions such as the OKC Zoo, Sam Noble Natural History Museum, movie theater, and other community outings and activities. There are additional fees for admission into many of these activities. We attempt to limit activity fees to no more than $10 per week.